Château de Fieuzal, one of the top cru classés in Pessac-Léognan, owned by Lochlann Quinn and his family, has announced that there will be no wine released from the 2017 harvest because of severe frost damage to its crop on 27th April. It’s rare when a producer decides not to release ANY of its wine on to the market when they consider that its not good enough which makes us applaud their integrity – which sometimes has been singularly lacking in the world of wine. Two other instances stand out in my mind – Ch. Palmer who made no 1968 wine and Roberto Voerzio in Barolo who poured all his 2002 Barolos down the sink. 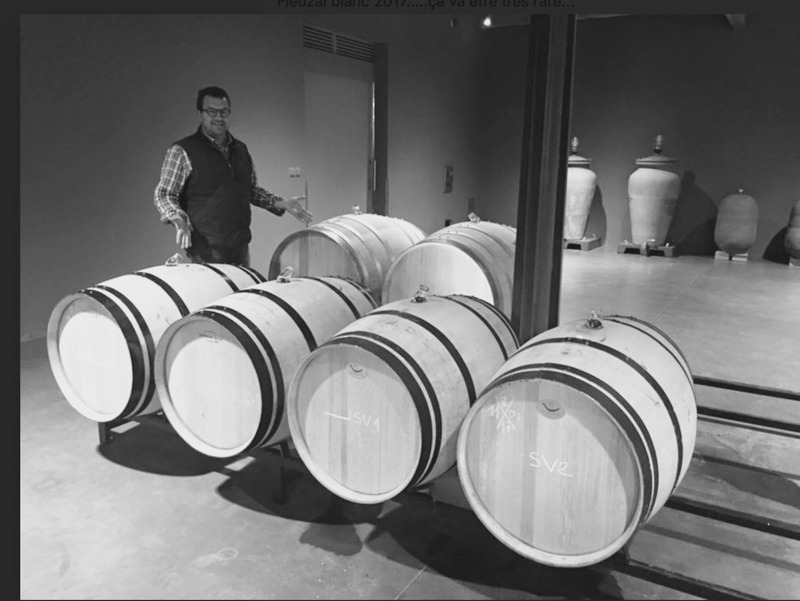 Here are a couple of posts from Stephen Carrier, the winemaker at Fieuzal – firstly stating his hopes back in September and his final release just a few days ago. Hats off to him and the Quinn family. I couldn’t wait to write to you at the beginning of May but I didn’t dare to before the end of the ‘Frost Saints’ (traditionally the period of colder weather and the last nightly frosts of Spring from 12th to 15th May). I was impatient to share my excitement of seeing our first Cabernets Sauvignons and Petits Verdots planted in 2015 and for which I have great hopes. I would have liked to share with you the excitement I get from my job, my passion for the vines et wine and couldn’t wait to thrill you with a superb but somewhat limited in quantity 2016 vintage at Fieuzal but there was the frost on 27 April 2017 which I will never forget. The frost affected our superb terroir. I won’t forget the helpless feeling which gripped me, I will never forget the men and women of Fieuzal that morning. I won’t forget how lucky we are to work for such amazing owners. It’s also why working in a vineyard is wonderful ; it gives us intense joy and deep pain, that’s the wine maker’s job, it can all hinge on not very much, in fact. So, this episode over, it became clear that the quantities for the harvest 2017 were going to be very low. What would the quality be like ? A fairly long flowering stretched over 4 weeks with wet spells, a dry beginning to the summer, without being too hot, and now we find ourselves at the end of summer which is proving to be rather unsettled with periods of heavy rain. Starting on the 5th September with the Sauvignons of “Ferbos”, we finished the Fieuzal whites on 13th September with several rows of late Sauvignons in the lieu-dit of “Dispute ”. In the meantime, we picked some beautiful Sémillons on the 8th and 13th September. A lovely surprise, our white juices are well made, look superb and well balanced. Ph between 3.1 and 3.2 and natural degrees don’t go above 12°6. The juices have a lovely, vibrant colour, lemony and already have a sweetness and freshness which makes me very optimistic for the future wine. With regard to this quality and due to the quantities, all our batches are fermenting now in barrels ;as always at Fieuzal, we mix the 225L oak barrels and the 400L acacia and oak barrels. Fermentation is happening at between 16 and 20°C in order to preserve the aromatic potential of our Sauvignon and Semillon juices. We will produce about 500 cases of white this year and divide between Fieuzal and l’Abeille blanc. Selection will be tough as the range is tight, as always, without compromise. Only quality counts ! This wet end of September forces us not to delay and we have already picked several rows of Merlots on 13th,14th and 15th of September. I will let you know what happens next…thanks to each of you sharing in the life of our vineyard. Since acquiring Fieuzal in 2001, the Quinn family’s main priority has always been to ensure Fieuzal become known for making wines of the highest quality. As many of you know, the climatic conditions of last spring had a significant impact on our vineyard and the size of the crop. And whilst we made every effort to minimize the impact of the adverse weather, unfortunately we have decided we are unable to achieve the level of quality we have come to expect. Therefore, we have decided not to release any 2017 Fieuzal wines into the marketplace.